Analysts are telling Tesla investors to brace themselves. "If you buy or own Tesla stock, be prepared for a wild ride," Autotrader analyst Michelle Krebs told CNNMoney. 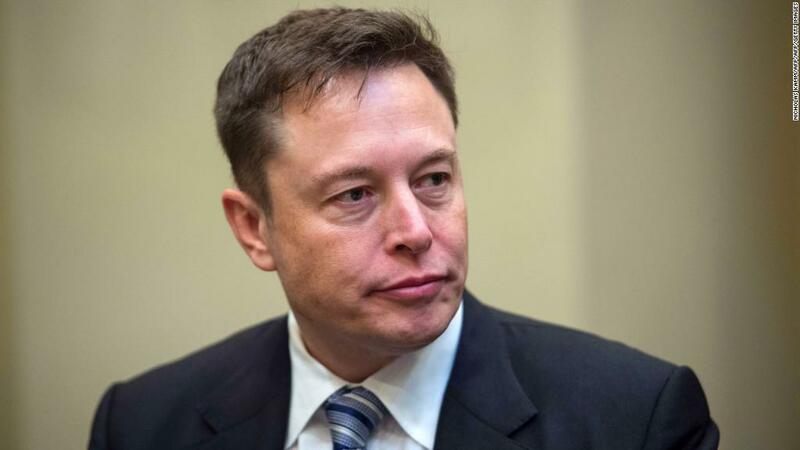 The Securities and Exchange Commission sued Elon Musk on Thursday for making "false and misleading" statements to investors in an August 7 tweet that said he had secured funding to take Tesla (TSLA) private at $420 a share. The SEC alleges he did not have the funding secured. Tesla's stock fell 12% to $270 a share on Friday. The company's future is in the "board's court now and it remains to be seen what will happen next," wrote Cowen analyst Jeff Osborne in a note. The firm slashed Tesla's price target to $200 per share. Tesla needs to raise $2 billion in the fourth quarter to avoid bankruptcy in 2019, Osbourne estimates. That will be more of a challenge with Musk's future in doubt, Osbourne said. The firm chided Tesla as a company "that has always over promised and under delivered." Barclays analyst Brian Johnson said that Tesla's stock has a $130 "Musk premium," which could disappear if he leaves. If a judge forces Musk to step aside, investors will "focus back on the value of Tesla as a niche automaker, rather than a founder-led likely disrupter of multiple industries," Johnson wrote in a note aptly titled "Lawsuit Secured" to clients. Citigroup downgraded Tesla's stock to a "sell" rating. It slashed Tesla's price target to $225.